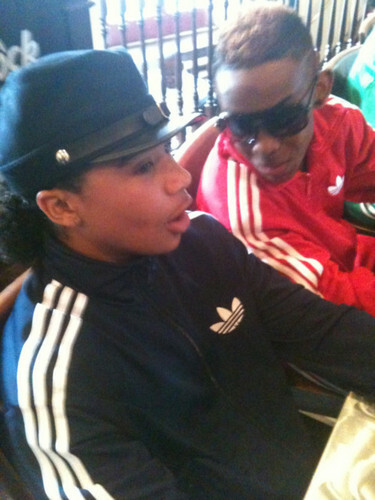 Roc Royal with Prodigy :). @MindlessBhavior WHoa!!!! Look at her… Mindless অনুরাগী are the prettiest in the world I swear!!! Lol…#RocRoyal. Wallpaper and background images in the মাইন্ডলেস বিহেভিয়র club tagged: mindless behavior roc royal prodigy lol.